When every inch of a baseball stadium is considered hallowed ground, even comparatively small efforts at expansion are undertaken with delicacy. So it goes that Fenway Park has added seating areas to every nook and cranny while optimizing available surface area with new video displays replacing static signage — all with an eye to maintaining the historic integrity of the venue. New seats and a 16-mm LED display were added to the right-field grandstands. In the latest of these strategic upgrades,124 seats were added this spring to the right-field grandstands, and the static Cumberland Farms sign was replaced with a Mitsubishi Diamond Vision XL Series 16-mm LED display measuring 14.28 ft. high by 46.19 ft. wide. The new right-field display will improve sightlines for members of Red Sox Nation seated in the grandstands or in areas dotted along the massive left-field wall that every baseball fan knows as the Green Monster. 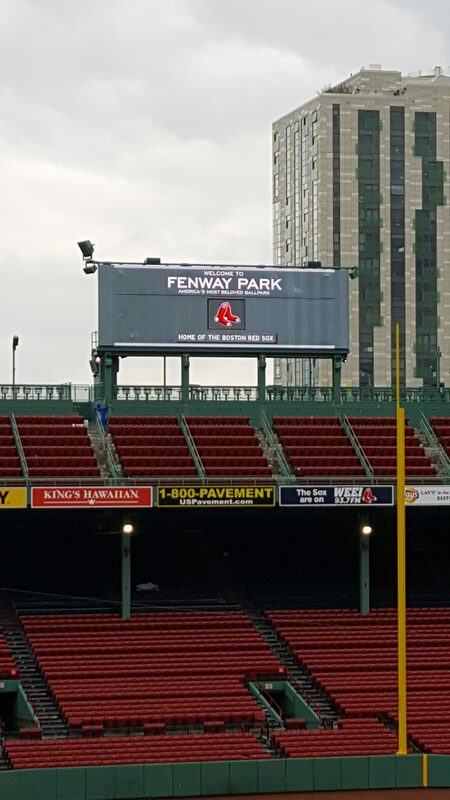 Installed by ANC, which has implemented numerous large-scale video-display upgrades at Fenway Park over the past decade, the screen’s comparatively fine 16-mm pixel pitch accommodates the shorter viewing distances in the famously compact stadium. In a creatively ironic twist, that fine resolution is used to emulate the super-analog bulb-based displays of yore. For the video content that ANC creates in conjunction with the Red Sox production team, it’s all about an old-timey look and feel. Fenway Park’s small scale and neighborhood location also make upgrades tricky. All these elements of charm serve a very modern purpose: to display more statistical information to meet crowd demands in the fantasy-baseball era and to make sponsor messages pop, especially in those stadium-wide moments of exclusivity. 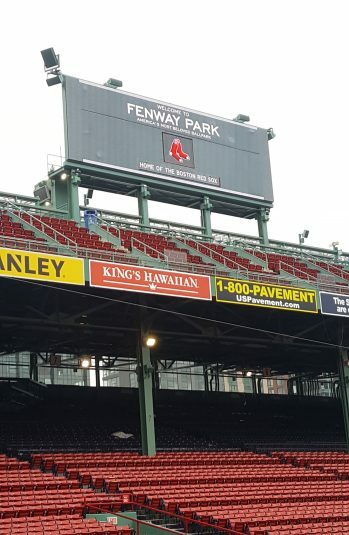 Content for all of Fenway Park’s displays is managed via ANC’s vSOFT operating platform, which also provides statistics through ANC’s MLB scoring platform. That configurability works well for a park that carefully cultivates every inch for a more memorable baseball experience. This latest addition is a continuation of the care that has gone into each step in the stadium’s modernization, Mascatello observes.